If you want to get rave reviews--and why are you baking fancy cookies if you don't want to wow the audience?--Finnish Spoon Cookies are the easiest path to cookie-baking fame. The secret here is the old-fashioned, melt-in-your-mouth texture which is extremely rare in today's cookie recipe canon, but there's no doubt our tongues have not forgotten the timeless magic. These cookies also require a certain amount of courage at the stove, because I'm always tempted to take the butter off the flame too early. Of course you don't want the butter to burn, but a fairly deep, amber color is ideal for the most flavorful cookie. One word of warning--these do not mail well. I sent a box to my son at college and not a single cookie stayed in one piece. But they're so good, he happily ate the crumbs! --Whisk together flour, baking soda and salt in a small bowl. Set aside. --Fill large bread bowl (or kitchen sink) with about 2 inches of cold water. Add a tray of ice cubes. --Melt butter in a 2-to-3 quart heavy saucepan over moderate heat and cook, stirring occasionally, until butter turns golden with a nutlike fragrance and flecks on the bottom of the pan turn a rich caramel brown, 10 to 12 minutes. Deep brown is okay, but do not let it burn. (Butter will initially foam, then dissipate. A thicker foam will appear and cover the surface just before the butter begins to brown; stir more frequently toward end of cooking.) Place pan in ice water to stop cooking, then cool, stirring frequently, until butter starts to look opaque, about 4 minutes. Remove pan from sink and stir in sugar and vanilla. --Add flour mixture all at once and stir until dough forms. Don’t worry if it’s a bit oily, it will stiffen. Shape into a ball, wrap with wax paper, and let stand at cool room temperature 1 to 2 hours to allow flavors to develop. (Do not let sit any longer, especially in a warm room as the baking soda activates too much). --Put oven rack in middle position and preheat oven to 325F. Line two cookie sheets with parchment. --Press a piece of dough into bowl of teaspoon, fairly generous amount, flattening top, then slide out and place, flat side down, on an ungreased baking sheet. (Dough will feel crumbly, but will become cohesive when pressed/make spoonfuls medium full). Continue forming cookies and arranging on sheet. Bake until just pale golden, 8 to 15 minutes (for me 13-14 worked best). Cool cookies on sheet on rack for 5 minutes then transfer to rack with an offset spatula and cool completely, about 30 minutes. The cookies will be tender until cool, so handle as little as possible. --While cookies cool, heat preserves in a small saucepan over low heat. Strain, pressing on solids, and heat again. Pour back into pan and simmer 5-10 minutes to thicken. Cool to lukewarm. --Spread the flat side of a cookie with a thin layer of preserves, about a scant 1/2 teaspoon. Sandwich with flat side of another cookie. Let stand until set, about 45 minutes. Transfer cookies to airtight container and wait 2 days before eating. --Be courageous with the butter. It can turn a fairly dark caramel brown and still taste good. Too light makes a slightly less flavorful cookie. --You can put about 16-18 on one cookie sheet as they don't spread much. --Cookies are tender when first baked. Use an offset spatula to remove to cooling rack and handle as little as possible until cold. --For a double batch use one full jar of Bonne Maman raspberry preserves; for three batches about 1 1/4 jars works, boil 10 minutes. 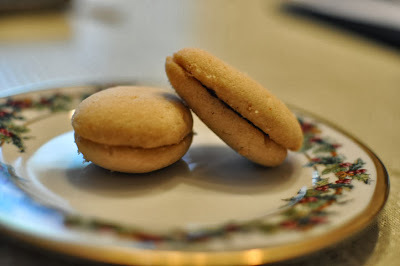 --Match similar size and shape cookies in pairs before spreading with jam. --Cool jam to lukewarm, use an offset spatula to dab jam between cookie sandwiches. --To avoid unsightly bleeding of jam into sides, a dab in the center and don’t let it spread too far to the edges. --Dough can be made 12 hours before baking and chilled, covered. Bring to room temperature to soften slightly before forming cookies, about 30 minutes. 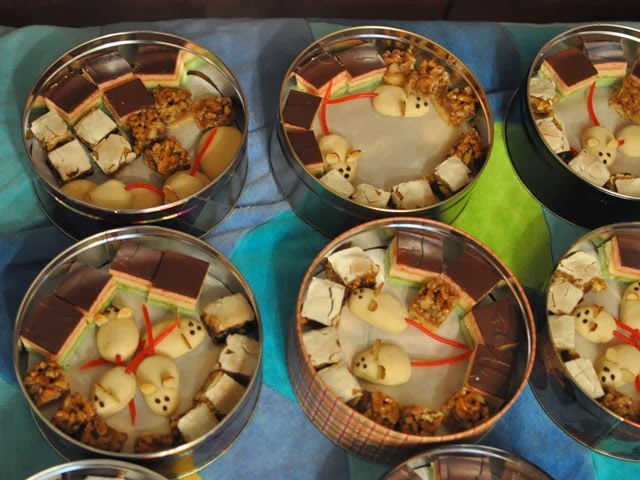 --Cookies keep in an airtight container at room temperature 2 weeks. My holiday baking season has begun! Every year I send my brother-in-law a box of my pecan cookies for Hanukkah, and the Festival of Light comes early this year. When you use the Express Mail flat-rate box, it doesn't even cost all that much to get the cookies across the country overnight. I like to give them while they're fresh! These cookies are crowd-pleasers, yet have a rich, elegant air. 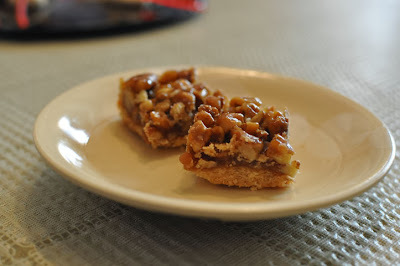 They are often called "candy-cookies" because of their silky caramel-pecan layer over a sweet crust. I increased the butter and vanilla from the original recipe and have a number of tricks I've learned over the past 14 years of making them that I share in the recipe below. You simply can't go wrong with these cookies, and they're good all year round. I took them to a family reunion a few years ago, and although there was a whole table of cakes and pies and fudge and rice pudding, these cookies were the first to go in all of five minutes. If you want a fancy presentation, you can serve them in paper or foil full-size or mini cupcake liners and pass them around on a pretty tray. Preheat oven to 350F. Line a 13x9x2-inch baking pan with foil, leaving a 1-inch overhang on all sides. Take foil out and butter flat. Gently replace foil in pan. Blend flour, powdered sugar, cornstarch and salt in a food processor. Add butter and process until the mixture just begins to clump together. The dough will be somewhat crumbly. Do not over process or it becomes greasy when baked. Pour it into a large bowl and press into clumps with fingers. Sprinkle evenly into the foil-lined pan and press dough down gently onto bottom. Make sure it’s not too thick in the center. Bake crust until set, light golden at edges and coloring slightly in center, about 25 minutes (overdone at 27 min). Remove from oven. Let stand while preparing topping. Reduce oven temperature to 325F. Stir brown sugar, corn syrup and butter in heavy medium saucepan over medium-high heat until sugar dissolves and mixture boils; boil 1 minute. Add pecans and cream; boil until mixture thickens slightly, about 3 minutes. Stir in vanilla. Pour hot topping over warm crust. Bake nut-topped crust until filling is darker and bubbles in center, about 29-32 minutes depending on your oven. Transfer pan to rack. Cool completely (overnight is fine) in pan. The topping will harden as it cools. Note: The quality of the pecans does make a difference. I recommend mail ordering the "small pecan pieces" in a one-pound bag from Sunnyland Farms in Georgia, which is an excellent source for premium pecans and mixed nuts. While you're at it, the toasted not salted nuts (or get salted if you like) are the yummiest mixed nuts on the planet. --Do not use a measuring cup to press down the crust, just your fingers. --These cookies can be made up to one week in advance. Store between sheets of waxed paper in an airtight container at room temperature. --Cut small for cookie boxes, about 1-inch square—they are rich, like candy. --Serve in muffin cups for fancy presentation. This blog has one purpose only--to celebrate the magic of cookies! 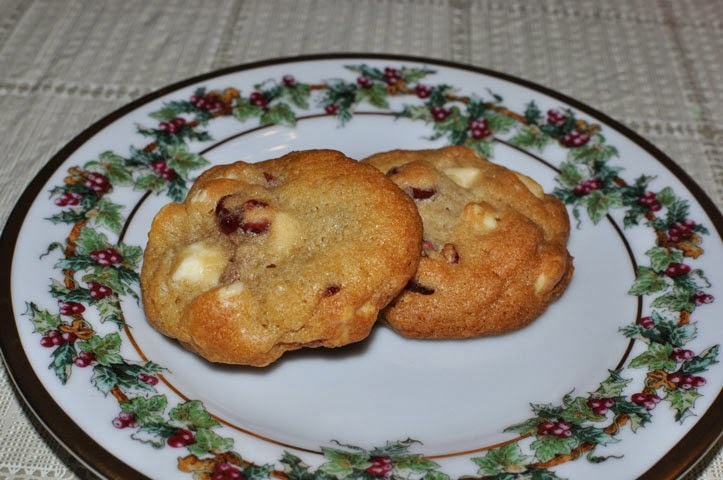 While I love ice cream and enjoy a delicious almond cake or piece of homemade pie, there's something about cookies that I connect with more than any other sweet. They are magic to make and magic to eat. My love of cookies reaches its highest expression during the winter holidays, which is why this is the perfect time of year to begin my cookie blog. When I was a child, my German-American mother would bake her fanciest cookies only at Christmas (I'll share some of those recipes later--stay tuned) and I well remember that anytime we visited someone's house in December, the hostess would bring out a lavish plate of her own signature cookies--which I loved to look at as much as sample. When I first started baking, I tried my hand at many different treats: brownies, cakes, yeast and quick bread, crumbles and cobblers. But somehow cookies were the most fun to make. My oldest friend--whom I met in junior high--also loved to bake. Even though she was a busy doctor, she would spend most of her December evenings baking cookies. I was honored to be on the list of lucky people who received a box as Christmas drew near. Receiving that tin packed with two each of over a dozen different types of European-style cookies was the high point of the holiday season. (My friend's parents came from Holland and I came to realize the winter cookie buffet was a widespread European custom). One day, about 10 years ago, I decided I wanted to try making my own holiday cookie boxes. That first year I made a box with six different types of cookies for each of my children's teachers and a few friends. To my delight, my cookie boxes got rave reviews, and now I could make others as happy as my friend made me! The best part of the holiday season for me became giving boxes of my cookies and, I'll admit, getting those gushing thank-you's. Many people have asked for my recipes, which I've always been happy to give. This blog is my illustrated recipe box--I hope you enjoy!